Time until Yu-Gi-Oh! Millennium Duels release day! In Yu-Gi-Oh! 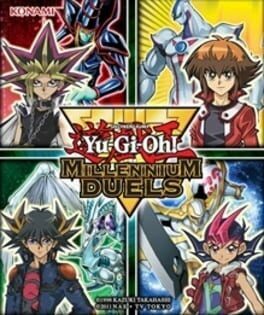 Millennium Duels, players enter a Virtual Dueling System, an advanced program wherein they battle against simulated Duelists from the animated TV show, characters from past, classic Yu-Gi-Oh! storylines, through to those from the current Yu-Gi-Oh! ZEXAL adventures. Players can also unlock avatars from the animated series and take them online to battle other players in versus matches.